A continuation of the "We One!" Marriage Challenge. "We One!" 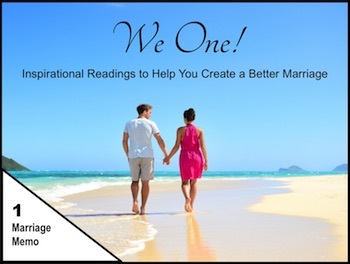 is a PDF book that focuses on 30 inspirational readings to help you create a better marriage." (To receive a free copy of this free PDF book, please visit sonnychilds.com.) Below is a sample. What prompted the writer to say that? What would it take for your relationship to experience that? The first and most important principle of money management is knowing to Whom it really belongs. Place your gift for God at the top of your budget priorities. Always put Him first and He will never put you last. Suggestion: Do more than just place a convenient offering in the plate each Sunday. 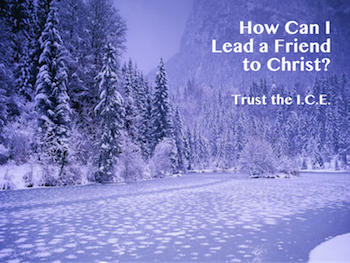 Find a ministry, orphan child, or special project to support. Connect your giving to your prayer life. Post reminders around the house to pray about the contributions you are making. Think of giving as an expression of worship, ‘cause it is! Spoiled parents produce spoiled children. Be the adult. Teach your children to live disciplined lives. One day they might be in charge of you. Would you want to have a parent like yourself? Even if you have no children, your parental influence is still felt by the culture around you. Adults set the bar for acceptable behavior. Your example today is shaping the world in which you will grow old tomorrow. Suggestion: Rise above the immaturity and visionless reactions many have to life. Make the hard decisions. Be a disciplined leader in the home and beyond. Experts say that poor communication skills are a leading cause of conflict in the home. True communication only happens when both the sender and the receiver are in harmony. 1. Message Sent – Don’t trust the silence. Don’t expect your spouse to read your mind or pick up on your implications. If you want to truly communicate, be sure the message is truly sent. 2. Message Received – One of the biggest enemies of communication is assuming that you are understood. Always look for evidence that your message has arrived and it has been processed properly. Suggestion: Ask the receiver to repeat what has been sent. Don’t ever forget to spice it up! Suggestion: Think of loving validation in the same way as you define good communication, it must be sent and it must be received in order for it to be truly functional within a relationship. Don’t trust ancient expressions to deliver present validation. Don’t expect your spouse to read your mind or pick up on your implications. Make sure your validation is sent often and is sent obviously. 2. Validation Received – Just like malnourishment, the signs of being under loved are obvious to those who are watching. Be alert. Make sure that your validation is not just sent but also received. "We One!" Marriage Challenge: "Marriage Memo 1-5"